If you haven't heard of Natasha Subhash, you will. Thwack. The yellow ball zips over the net toward Natasha Subhash. Thwack. With a vicious swing, she returns the volley. The ball bounces on the court and past her opponent. Point, Subhash. Normally even-keeled, she pumps her fist. 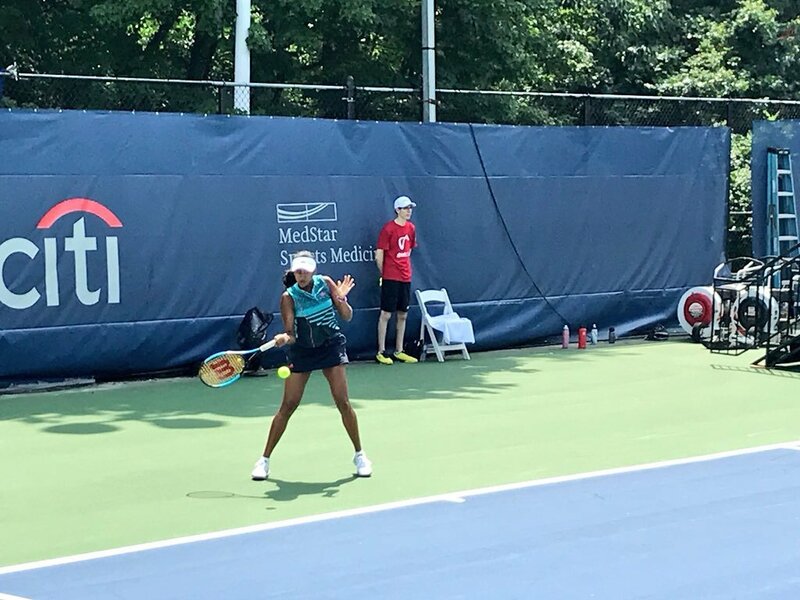 This year’s Citi Open—the annual hometown professional tennis tournament in Rock Creek Park—features several local players, but none as young as Subhash. 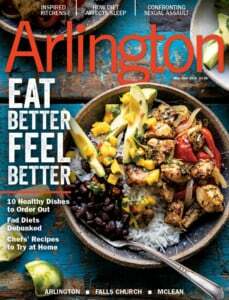 Considered one of the best junior tennis players in the world, the 16-year-old rising senior at Falls Church High School trains at the 4 Star Tennis Academy in McLean. She’s played (as a junior) at Wimbledon, the French Open, the Australian Open, and the US Open, but this week was special. 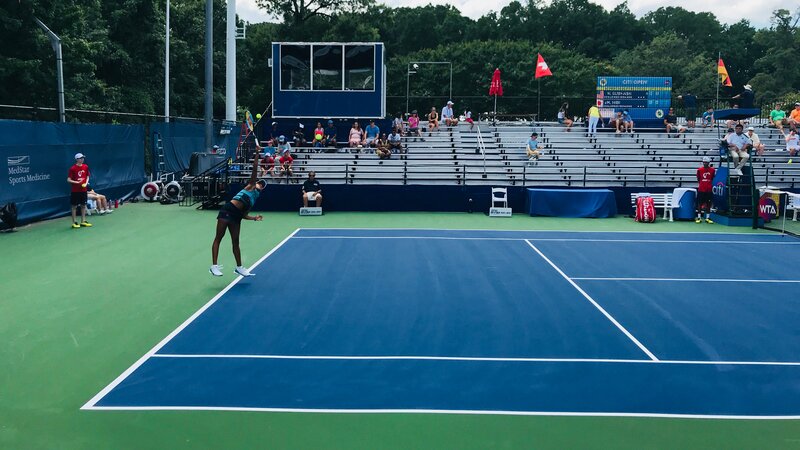 It was her Citi Open debut, and a chance to play in front of friends and family. 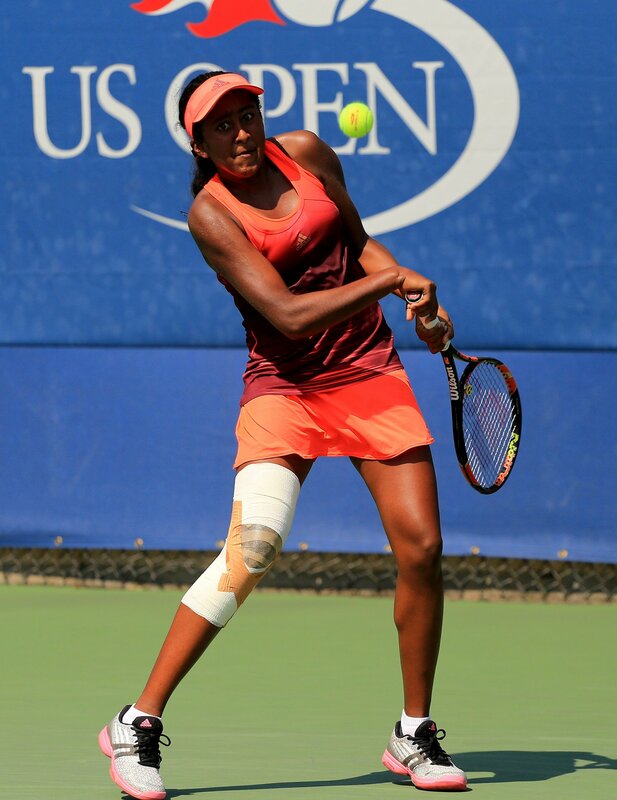 Subhash’s talent was apparent from an early age, says her father, Subhash Kongassery, who immigrated to the U.S. from India with Natasha’s mother, Sulekha Subhash, in 1997. 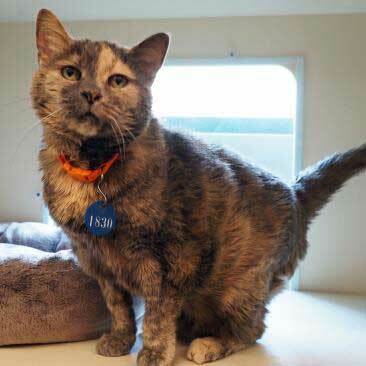 Natasha was born a few years later. “When she was four, I used to feed her [tennis] balls in the basement and she had really good hand-eye coordination,” he says. That’s when they enrolled her in the academy. What does the future hold for the rising star? She’s already made a commitment to attend (and play for) the University of Virginia in the fall of 2019. 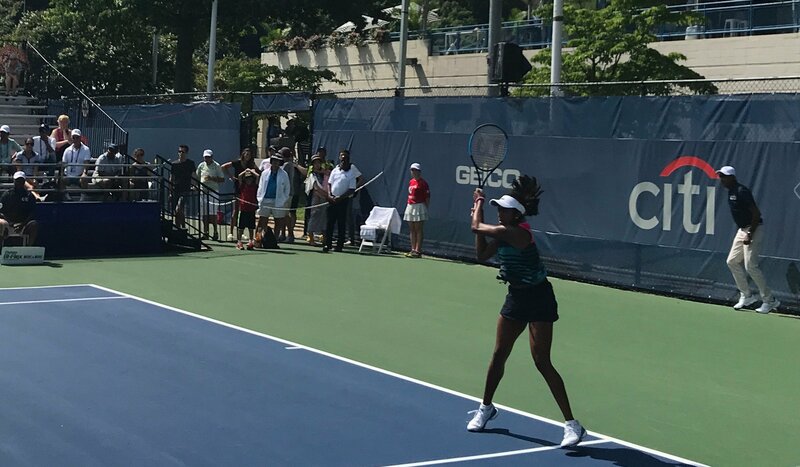 But in the meantime, she’s got senior year to look forward to—and several upcoming tournaments, including the US Open Juniors in September.